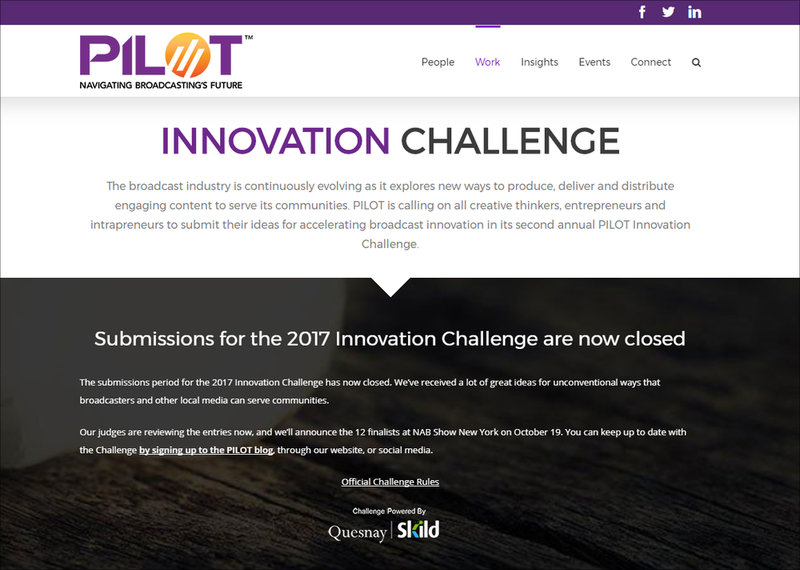 We’re excited to announce that NAB PILOT Innovation Challenge submission period has officially ended on September 22nd! Building upon the success of the last year’s inaugural challenge, this year’s challenge had doubled its number of winners and increased cash prize amount to find the next big ideas. During the six months of the submission period, we were able to gather more than 150 submissions from over 260 registrants. This amazing result wasn’t possible without the generous support and help from our marketing partners. After the rigorous judging process, the final six winners will be announced at the NAB Futures (November 12 - 14) so stay tuned. Older Post"King of Fintech" Ron Suber joins as a Judge for the Female Founders in Tech Competition!